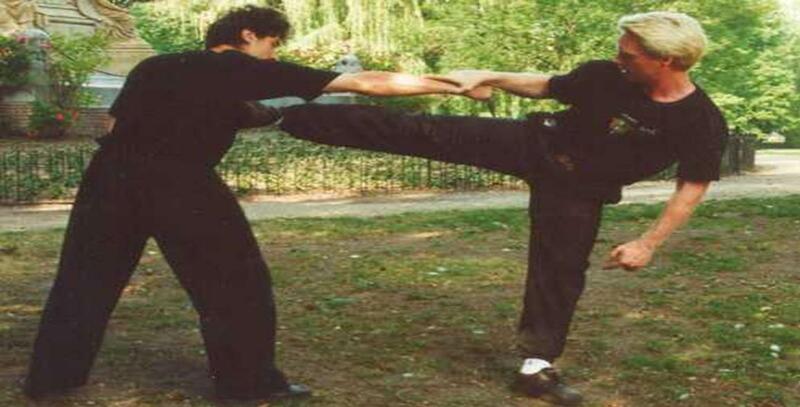 We are all-rounders when it comes to fighting styles, but are specialized in Several Chinese Kung-Fu / Wu-Shu styles as “Trans Kung-Fu”, “Jeet Kune Do” and some more (classic) Kung-Fu styles. None the less we also practice other styles like Ninjutsu, Karata and Kendo. Roland Gotjé, owner and founder of Dutch Dragons Entertainment, has extensive experience himself as a free fighter (MMA), kickboxer and in grappling. Unfortunately there is little information about his free fight career on the internet. In addition to these different martial art styles Roland Gotjé also masters several weapon styles. For example: Chinese swords (single and double), Japanese swords (Ninja: single and double, Samurai), Nunchakus, Tonfas , Kalis, whip, steel chains and sticks or spears: not only single but, as one of the few, also double handed! He is not only trained in traditional (mechanical) weapons but also in modern (mechanical) weapons and firearms. Most important however, is a well trained eye for action and detail. This definitely is the main style at Dutch Dragons Entertainment: Seeing all details in action movements. If the (weapon) style you are interested in is not amongst the ones mentioned before please feel free to ask about our experience and possibilities.